IMPORTANT NOTES: Construction year from: 05.1997;Engine Code: K6C. IMPORTANT NOTES: Construction year to: 07.2008. 07/2011 1587 80 109 NFU (TU5JP4) Coupe. IMPORTANT NOTES: Construction year to: 10.2012. This is a genuine part removed from a working engine. Manufactured in Japan by Aisan. The part number is MD319332. Proton Jumbuck pickup ALL models. 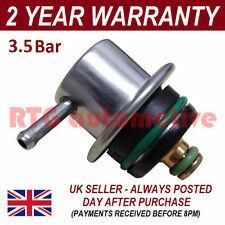 Proton 1.5 and 1.3 MPi/Triple Valve GE, GL, GLS, SL, SE (Aeroback/Saloon) 1992-1997. PROTON SAVVY 1.2 LITRE PETROL 2011 MODEL. INJECTOR RAIL WITH 4X INJECTORS. AJ SPARES is a large independent Vehicle Dismantlers. South Yorkshire. The Blue Containers. 5 DOOR HATCHBACK 5 SPEED MANUAL. Suits Mitsubishi Galant Lancer Nimbus Proton Suzuki 4 Cyl Proton Persona 4G13, 4G15 1.3L, 1.5L 4 1995-2005. Proton Satria 4G13, 4G15 1.3L, 1.5L 4 1997-2005. Proton Satria 4G92, 4G93 1.6L, 1.8L 4 1997-2005. PROTON SAVVY STYLE 1.2 LITRE PETROL 2012 MODEL. 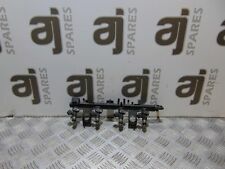 INJECTOR RAIL X4. AJ SPARES is a large independent Vehicle Dismantlers. The Blue Containers. PART NUMBER - 8200379181. PROTON SAVVY STYLE 1.2 LITRE PETROL 2012 MODEL. FUEL INJECTOR WIRING LOOM. AJ SPARES is a large independent Vehicle Dismantlers. The Blue Containers. Engine Code: S4PH; Model year to: 11/2011. PROTON SATRIA NEO 1.6 Hatchback Petrol 02/2007 on FWD 16 110 81. PROTON SATRIA NEO 1.3 Hatchback Petrol 02/2007 09/2008 FWD 16 95 70. PROTON PW810691. PROTON GEN 2 (CM_) 1.3 Hatchback Petrol 06/2004 on FWD 16 95 70. Fuel Pressure regulator 0280160562 Bosch. Part Number 0280160562. FIAT 504328431 77365541. ABARTH 500 / 595 / 695 (312_) 1.4 (312. AXD1A) Hatchback Petrol 08/2008 on FWD 16 135 99. AXF11, 312. AXF1A, 312. MDH240 INP064 Proton Satria, Mitsubishi Mirage, Lancer, Cyborg 240cc Injectors. 4g63 4g64 4g69 4g92 4g93 4g94. 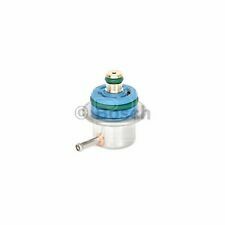 Manufacturer part number: 0280160562. mpn 0280160562. supplier BOSCH. PURPOSE OR USE. IN THE RARE EVENT THAT YOU HAVE A PROBLEM WITH YOUR ITEM. If You find there number from Your old part item will fit.If not, item may not fit. 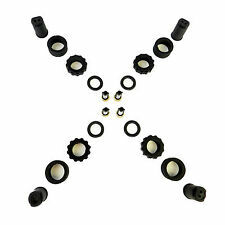 BLUE PRINT sensor, camshaft position. Auto parts vehicle selection model type / key number / KBA number. Due to the enormous variety of parts the factory installed parts, it is technically not possible to bring any vehicle specification in our vehicle Association. PROTON PW810691. PROTON GEN 2 (CM_) 1.3 Hatchback Petrol 06/2004 on FWD 16 95 70. PROTON GEN 2 (CM_) 1.6 Hatchback Petrol 06/2004 on FWD 16 110 82. PROTON SAGA II Saloon 1.3 FLX Saloon Petrol 04/2010 on FWD 16 95 70. PROTON PW810691. PROTON SAGA II Saloon 1.3 FLX Saloon Petrol 04/2010 on FWD 16 95 70. PROTON GEN 2 (CM_) 1.3 Hatchback Petrol 06/2004 on FWD 16 95 70. PROTON SATRIA NEO 1.3 Hatchback Petrol 02/2007 09/2008 FWD 16 95 70. Engine Code: F1CE0441A; Model year to: 12/2014. FIAT DUCATO Bus (250_, 290_) 140 Natural Power Bus CNG 04/2009 on FWD 16 136 100. FIAT DUCATO Platform/Chassis (250_, 290_) 140 Natural Power Platform/Chassis CNG 04/2009 on FWD 16 136 100. ABARTH GRANDE PUNTO 199. 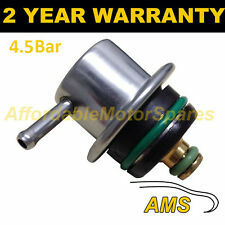 AXN1B 1.4 Fuel Pressure regulator 07 to 10 199A8.000. ABARTH GRANDE PUNTO (199_) 1.4 (199. AXN1B) Hatchback Petrol 12/2007 06/2010 FWD 16 155 114. ABARTH 500 / 595 / 695 (312_) 1.4 (312. ). (ABARTH 500 / 595 / 695 (312_) 1.4 (312. AXD1A) Hatchback Petrol 08/2008 on FWD 16 135 99. AXF11, 312. AXF1A, 312. AXD1A) Hatchback Petrol 08/2008 on FWD 16 160 118. AXF11, 312AXF1A) Hatchback Petrol 08/2008 on FWD 16 180 132. (FIAT 504328431, 77365541. ABARTH 500 / 595 / 695 (312_) 1.4 (312. AXD1A) Hatchback Petrol 08/2008 on FWD 16 135 99. AXF11, 312. AXF1A, 312. AXD1A) Hatchback Petrol 08/2008 on FWD 16 160 118. AXF11, 312AXF1A) Hatchback Petrol 08/2008 on FWD 16 180 132. (PEUGEOT 198532, 96271293, 96271791. ABARTH 500 / 595 / 695 (312_) 1.4 (312. AXD1A) Hatchback Petrol 08/2008 on FWD 16 135 99. AXF11, 312. AXF1A, 312. AXD1A) Hatchback Petrol 08/2008 on FWD 16 160 118. Engine Code: F1CFA401A; Model year from: 09/2016. IVECO 504328431. IVECO DAILY VI Box Body / Estate Natural Power 35S14, 35C14, 40C14, 50C14 Box Body / Estate CNG 04/2016 on RWD 16 136 100. IVECO DAILY VI Box Natural Power 35S14, 35C14, 40C14, 50C14, 65C14, 70C14 Box CNG 03/2014 on RWD 16 136 100. CITROËN XSARA PICASSO (N68) 2.0 16V MPV Petrol 01/2003 on FWD 16 136 100. CITROËN XSARA (N1) 1.6 16V Hatchback Petrol 09/2000 03/2005 FWD 16 109 80. CITROËN XSARA (N1) 2.0 16V Hatchback Petrol 09/2000 03/2005 FWD 16 136 100. FIAT DOBLO Box Body / Estate (263_) 1.4 Box Body / Estate Petrol 10/2011 on FWD 16 120 88. FIAT DOBLO Combi (263_) 1.4 MPV Petrol 10/2011 on FWD 16 120 88. FIAT DOBLO Platform/Chassis (263_) 1.4 Platform/Chassis Petrol 10/2011 on FWD 16 120 88. (ABARTH PUNTO 199. ABARTH PUNTO (199_) 1.4 (199. AXX1B) Hatchback Petrol 03/2012 on FWD 16 163 120. AXX1B) Hatchback Petrol 03/2012 on FWD 16 180 132. ABARTH 500 / 595 / 695 (312_) 1.4 (312. AXD1A) Hatchback Petrol 08/2008 on FWD 16 135 99.